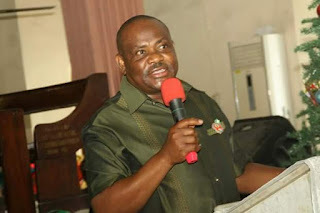 Governor Nyesom Wike of Rivers State has directed security agencies in the state to alert and arrest Biafran agitators who have resorted to illegal procession and assault of law abiding citizens. The government urged all residents in the state to remain calm and law abiding. Wike had banned any separatist protest or procession by the Indigenous People Of Biafra, IPOB, calling for the release of Nnamdi kanu, the detained Director of Biafra Radio charged with treasonable felony. Some of the arrested over 20 Pro-Biafran agitators arrested over illegal protests in Port Harcourt last year have been remanded in prison custody.